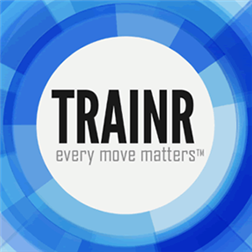 Now available for Windows Phone is the Official TRAINR fitness application for your smartwatch that automatically tracks your repetitions and exercises. The app lets you challenge yourself with the challenge mode and try to beat your best score. Also included is a workout mode which lets you choose from 4 professionally designed multi-day routines that will walk you through specific exercises and rest periods created specifically for strength, endurance, cardio, and circuit training. And when you’re finished, share your completed workouts online. TRAINR is currently working to build a better recognition algorithm. If TRAINR miscounts, just edit the count and upload your data to help us build a better algorithm specifically for you. 21 bodyweight and dumbbell based exercises for your upper body, lower body, and core. Official ESPNF1 Windows Phone App Now Out! Written by: MBGW on June 17, 2014.